Can't Wait To See The Hunger Games: Mockingjay - Part 1 Movie! I participated in an Influencer Activation on behalf of Influence Central for Lions Gate. I received a book, products, and a promotional item to thank me for participating. If you haven't watched or read the Hunger Games books or movies, then I think you are really missing out! The series is one of the most intriguing, unique and interesting books and movies that have been around in a long time! 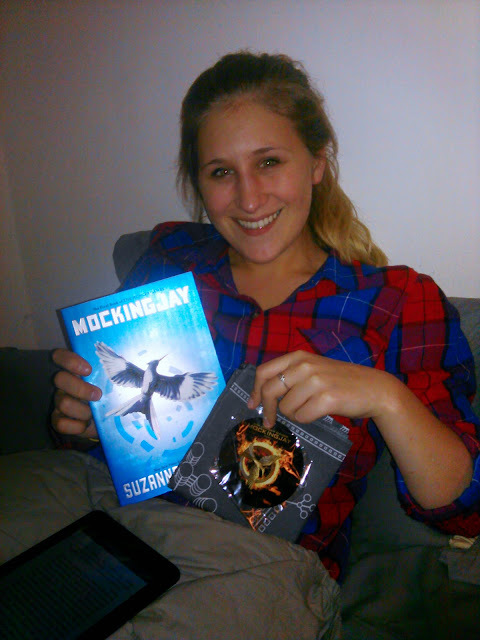 I recently got the privilege of hosting a Mockingjay book party with some of my family and friends to read and discuss the third book in the Hunger Games Series: Mockingjay. I have never read it before but I knew the movie was coming out soon so I really wanted a sneak peak of what was coming! And my fellow book club members and I COULD NOT PUT IT DOWN! This book was so good...I just had to read on into the second and third parts of this book until the book was over. And I was so sad when it was! 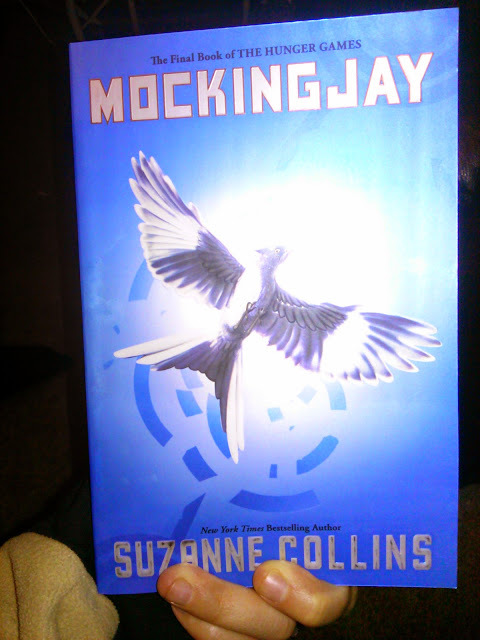 I can definitely see how the novel, written by Suzanne Collins, has over 65 million copies in print in the U.S. alone! It is so good! 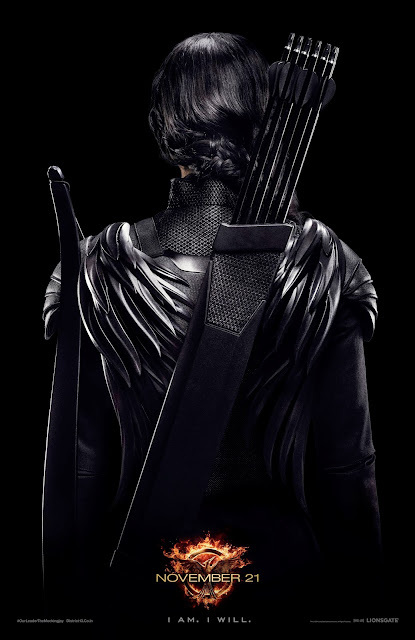 In Hunger Games: Mockingjay - Part 1, we will find Katniss Everdeen (Jennifer Lawrence) in District 13 after she literally shatters the games forever. Under the leadership of President Coin (Julianne Moore) and the advice of her trusted friends, Katniss spreads her wings as she fights to save Peeta (Josh Hutcherson) and a nation moved by her courage. This book definitely had my group of book club members discussing and talking about this book for hours! A Book Club Member & Winner of the Mockingjay Swag! We talked about how intriguing the technology is in this book - the costumes, the fashion, the weapons...it really sets this book apart with its futuristic themes but also makes it really interesting and intriguing! Normally I don't get into futuristic books like these, but this book is so well written I couldn't put it down! That fact alone is exactly what makes Suzanne Collins an amazing author. Just the way she weaves in so many themes - romance, frustration, fight and war, mystery and intrigue all why keeping the reader's attention throughout the book - she is truly a talented author! We also discussed how many view this series as a teen-oriented franchise, but since we were all adult women in the group reading the book (and loving it! ), we decided it really is a great book for all women to read! 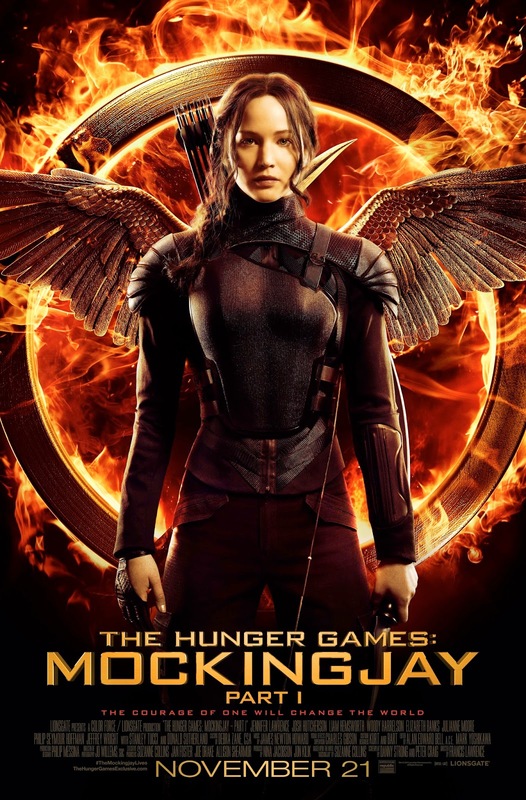 Although Katniss is still a teenager in the book, the strength she shows as a woman, along with President Coin and other female leaders in the book, really make this a great book for all women to read! You can definitely tell the author believes in strong woman roles and strong women in general! I love that the author incorporates so many strong female roles in the book - I relate to that so much! We finished off our party watching the the upcoming film’s trailer and we were all so excited to watch the film once it hits theaters! It really made us intrigued to see how much the movie will be similar or different to the book! But either way, I think it will be a great movie!